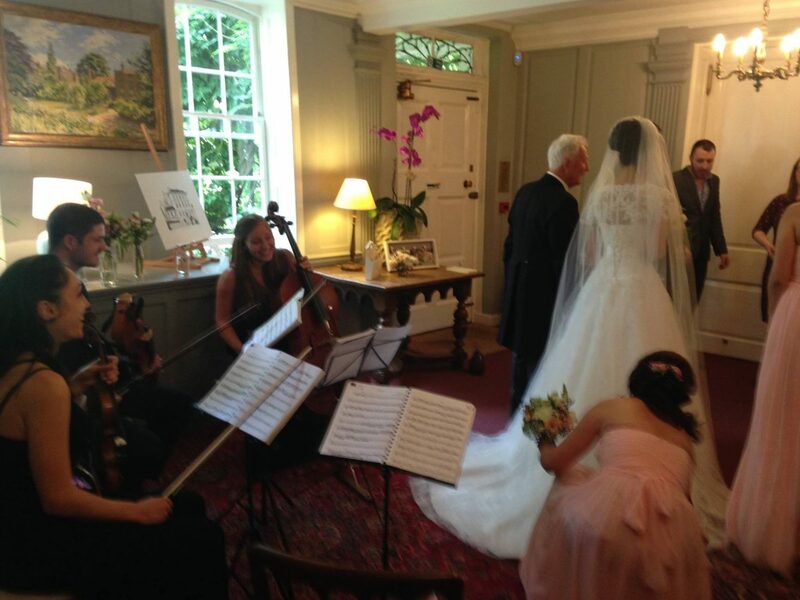 We played in Olivia and Tom’s beautiful wedding in Burgh House – a venue that is perfect for a string quartet. During the day, we had the pleasure of working alongside the excellent Kirsten Mavric. The wedding was later featured in London Bride. Have a look at the stunning photos for inspiration and read about the wedding here. Burgh House is a fabulous venue – we’ve provided live music for around 50 weddings here and they’ve all been great. The Music Room is perfect for ceremony music and there’s also a piano here. We often play in the entry hall as it gives more room for the essential wedding photos to be taken. We usually stay in the same position for the reception. Sometimes we move to the Peggy Sue Gallery to be heard there. If everyone goes outside at the back terrace, we move into the Music Room. The string quartet can still be heard with the door open. It’s not a very large venue and has great acoustics. We can play at normal volume and the music can still be heard. It’s always great to work with Mark and the Events team there. They understand the importance of entertainment and we have a great working relationship with them. There are some sound restrictions, so this is not the best venue if you want a loud band. We’ve supplied jazz bands and pianists for receptions here and they’ve worked best. We’ve even supplied a ceilidh band. 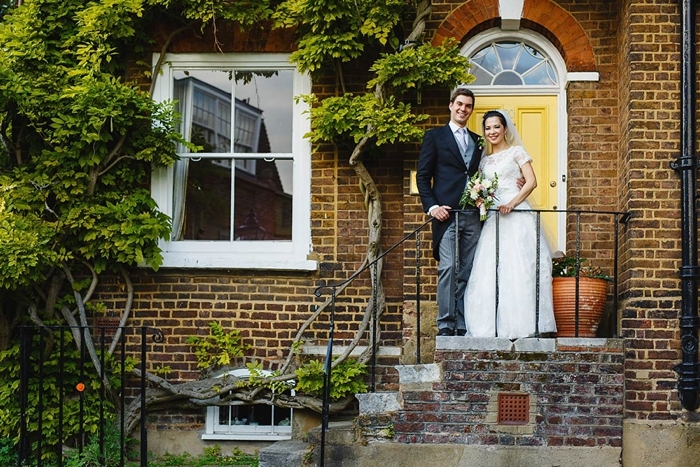 Do take a closer look at Burgh House – it really is a gem of a venue.